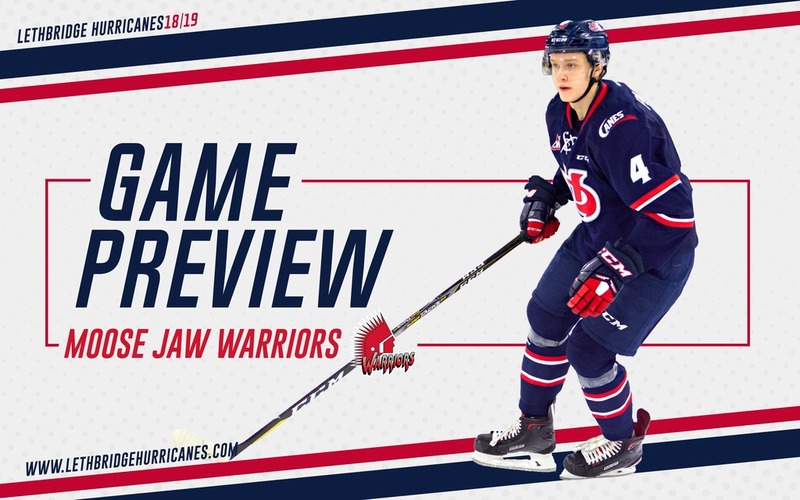 Lethbridge, AB – The Lethbridge Hurricanes continue their six-game homestand tonight as they welcome the Moose Jaw Warriors at 7:00pm to the ENMAX Centre. The Hurricanes (27-15-4-5) are coming off a 2-1 shootout loss against the Regina Pats on Tuesday. Carl Tetachuk made 29 saves in the loss while Taylor Ross scored his 24th goal of the season. The Hurricanes enter play tonight with a 2-0-0-1 record in the first three games of this homestand. The Warriors (28-13-6-2) were handed a 6-1 loss in Saskatoon against the Blades on Wednesday. Warriors enter on a two-game losing streak, but are 7-2-0-1 in their last ten games. Moose Jaw is in the span of playing 12 of 13 games on the road. Tonight will be the third of four meetings on the season between the Hurricanes and the Warriors; Moose Jaw has taken both games thus far by 3-2 scores, one in overtime. Tickets for tonight’s game can be purchased online at www.enmaxcentre.ca, by calling 403-329-SEAT (7328) or by visiting the ENMAX Centre or Yates Ticket Centre’s. VS. WARRIORS: Tonight will be the third of four meetings on the season between the Hurricanes and the Warriors. The ‘Canes have dropped both games this season to the Warriors by 3-2 scores, one in regulation and one in overtime. Lethbridge has posted a 2-6-2-0 record against Moose Jaw over the last three years.